In addition to the 43m Explorer by Santa Maria Magnolfi featured in previous pages, another exciting new project is in development: a 63m V-Line flagship designed by Francesco Paszkowski. The concept’s subtle retro lines certainly stand out from the crowd, as does the float-in stern garage that can accommodate a 10m tender. The garage can also be converted into a spacious beach club with sauna, hammam, and fold-down terraces on either side, while a third hatch amidships offers water-level access to the guest cabins. 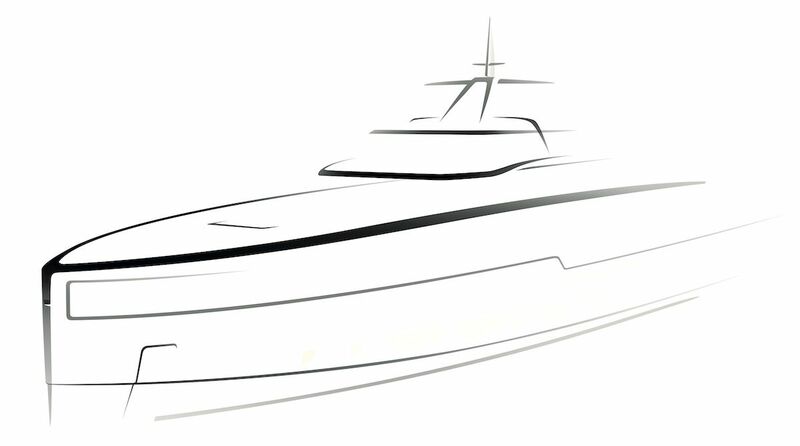 Above: a preliminary sketch of the new 40m RPH design by Horacio Bozzo. The core inspiration for the design is the very special bond between light and water. This is reflected in numerous design solutions, from the ceiling-high windows on the main and upper decks to the swimming pool on the upper deck with a see-through bottom offering views of the aquarium below it. Accommodation will be for 12 guests in six en-suite cabins comprising a master stateroom, VIP suite on the main deck and four guest cabins on the lower deck. The owner/VIP area forward includes a gym. A lift can transport guests from their cabins on the lower deck all the way to the sundeck, which features a large hot tub with wet bar forward. Several propulsion solutions are being studied, including a hybrid option. 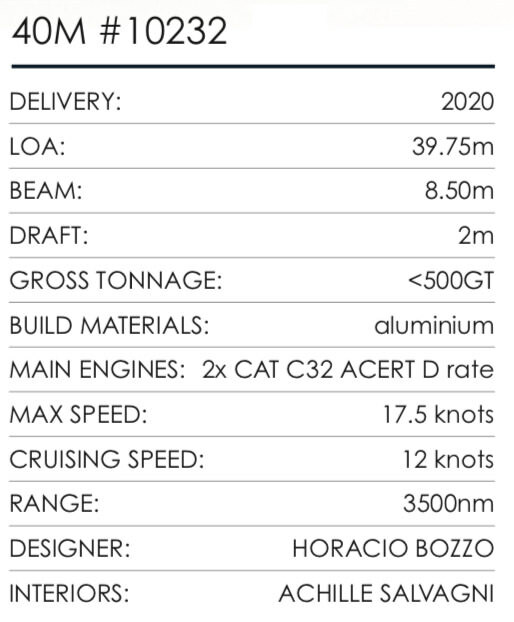 Work is progressing on the confidential 40m project (#10232) by Horacio Bozzo, a compact superyacht with a raised pilothouse layout. We can’t release details of her exterior design at the moment, but hopefully this teaser illustration will give you a taste of things to come!